"I stored my daughter's birthday party video on my PC that is shot with my Panasonic HDC-TM700 in MTS format. Tomorrow I will visit my friends, and they hope I can share the party videos with them. Since I had an HTC with Android and I would like to share with it. How can I play my M2TS/MTS on Android? " – Adam. More and more mobile phones are built with Android platform, such as Motorola droid, HTC Hero / HTC Dream / HTC Magic / Droid X and Google phone 'Nexus one' based on Android OS 2.0. If your video is recorded by Camcorder in M2TS/MTS format, you will fail to play M2TS/MTS on Android directly, because Android only supports videos in 3GP, MPEG-4 and WebM formats. How to Play M2TS/MTS on Android? Generally, M2TS/MTS file is a Sony high definition video file type. M2TS files are raw Blu-ray Disc and AVCHD videos recorded by Sony's camcorders, such as the HDR-SR1 and HDR-SR5 models. Panasonic, Canon, JVC and other brands of AVCHD camcorders also record in M2TS/MTS format. Traditionally, if you want to play M2TS/MTS on Android, you have to first convert the video into Android supported format and then transfer the converted video to your Android. To make it convenient to play M2TS/MTS on Android, here I will recommend you Air Playit – a free App for streaming M2TS/MTS to Android without video format conversion. Most importantly, when you stream M2TS/MTS to Android, the video takes no space on your Android. Before streaming M2TS/MTS to Android from your PC/Mac, you need to download the Air Playit server and the Android App client. Install the server on your PC/Mac and the client on your Android. Below is the Quick Guide for Streaming M2TS/MTS to Android. Do you want to learn how to stream HD camcorder recorded video M2TS/MTS video to android? 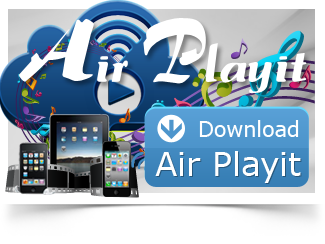 Please go to www.airplayit.com to download the server first. Choose the right version between Windows and Mac based on your computer. And please go to “Download Area” of the forum to download Android APK. Step 1: Run Air Playit Server on your computer and add M2TS/MTS video to "Shared Folders" by clicking "Add Folder"
Step 2: Run the Client on Android and add your server by clicking "+". The client can automatically discover the local network by Bonjour Server. Step 3: Browse the added HD Camcorder video folder under your server; choose this video by clicking "Play". Then you may play M2TS/MTS video on Android instantly. The iPhone iPad client is also available in iTunes. If you have other portable devices, such as iPad, iPhone and want to stream M2TS/MTS to iPhone iPad, Air Playit enables you do that job. 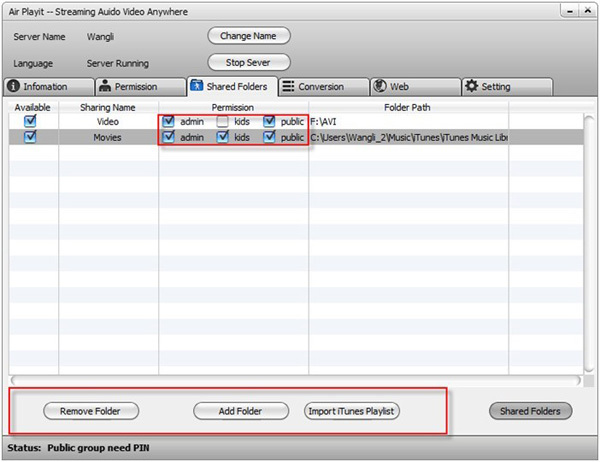 Air Playit is a free video streaming app which supports streaming MOD TOD videos to iPad iPhone. With Air Playit, you can watch JVC MOD TOD on iPad iPhone via Wi-Fi-, 3G/4G without waiting.